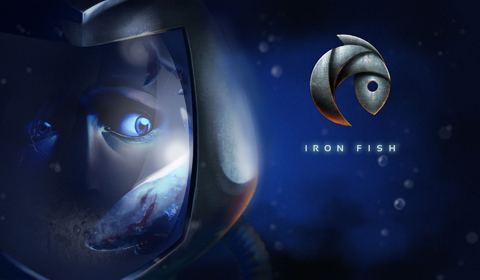 Iron Fish had a bare bones story foundation in place when Nina and I were brought in and we were asked to flesh it out. It was an absolute wonder to write pretty much everything that needed to be written (dialogue, backstory, data logs, plot points and such) and then seeing it come to life. That served as a reality check as well, because game development has so many gears turning in different directions that your work gets twisted along the way and ends up constituting something pretty far removed from what's in your head. Writing a game is like being asked to complete a puzzle, but as you're putting down the pieces, many get taken away while new ones are provided, and the completed puzzle still has to look like the example on the box it came in. Thinking both inside and outside the box, if you will. Overall, it was a sobering experience as rewarding as it was invaluable, and I hope to do it more in the future.